What kind of coercion is it when the guy with the gun says: “Do this or I’ll shoot myself in the head?” Not much at all, unless you believe that Israel is hell bent on inflicting great pain on itself, as Seymour Hersh implied back in 1991, in The Samson Option: Israel’s Nuclear Arsenal and American Foreign Policy. Despite the fact that Prime Minister Benjamin Netanyahu, Defense Minister Ehud Barak, and a panoply of American backers of Israel have ratcheted up their much-hyped threat to bomb Iran, doing so would explode in Israel’s face. Which is why it won’t happen. How so? For starters, by attacking Iran – even in the midst of a U.S. election campaign – Israel would run the risk of angering and alienating Washington, its main patron, in a manner likely to forever change the U.S.-Israeli relationship for the worse. Second, with nearly the entire Israeli national security establishment strongly opposed to striking Iran, Netanyahu and Barak would isolate themselves politically, collapse their own government, and perhaps propel a much more dovish coalition into power. Third, striking Iran would trigger devastating counterattacks from Tehran and its allies, including the well-armed Hezbollah movement in Lebanon, leading to hundreds if not thousands of Israel civilian casualties. Fourth, already isolated internationally, Israel would turn itself into a global pariah, a kind of rogue state blamed for the subsequent spike in oil prices, economic carnage, and military conflict in and around the Persian Gulf that could roil the region for a decade or more. 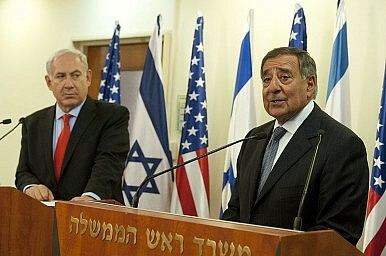 Perhaps most important, nearly all military analysts, in Washington and in Israel itself, believe that even an all-out Israeli attack on Iran would not eliminate its ability to produce a nuclear weapon, Indeed, as Martin Dempsey, the Chairman of the U.S. Joint Chiefs of Staff, stated last week, “I think that it’s a fair characterization to say that they could delay but not destroy Iran’s nuclear capabilities.” Worse, as Israel knows, an attack would solidify the power of hawks in Iran’s government. Not to mention that Iran has no bomb, it isn’t likely to get one for a few years (even if that’s Iran’s intention), and it has no means of delivering a weapon – meaning that the dire threat that Israel says might require a unilateral strike doesn’t exist. Still, that hasn’t dissuaded Netanyahu and Barak from scaremongering about Iran, nor did it prevent a former Mossad chief, Efraim Halevy, from declaring that Iran should “be very fearful of the next 12 weeks,” i.e., between now and the November Presidential election in the United States. So, why have Israel’s leaders escalated their rhetoric in recent weeks to a fever pitch? Because they, and their allies – including the American Israel Public Affairs Committee and its spinoff, the Washington Institution for Near East Policy (WINEP), and other, likeminded groups and think tanks – believe that even an outlandish set of threats against Iran can accomplish important objectives for Netanyahu. What objectives? Let’s consider them in turn.